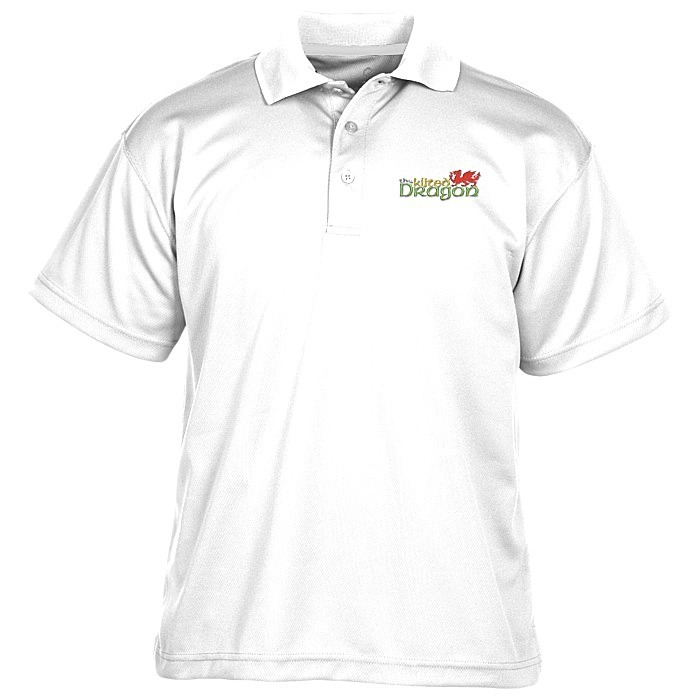 Personalize this performance polo pronto – 24HR! 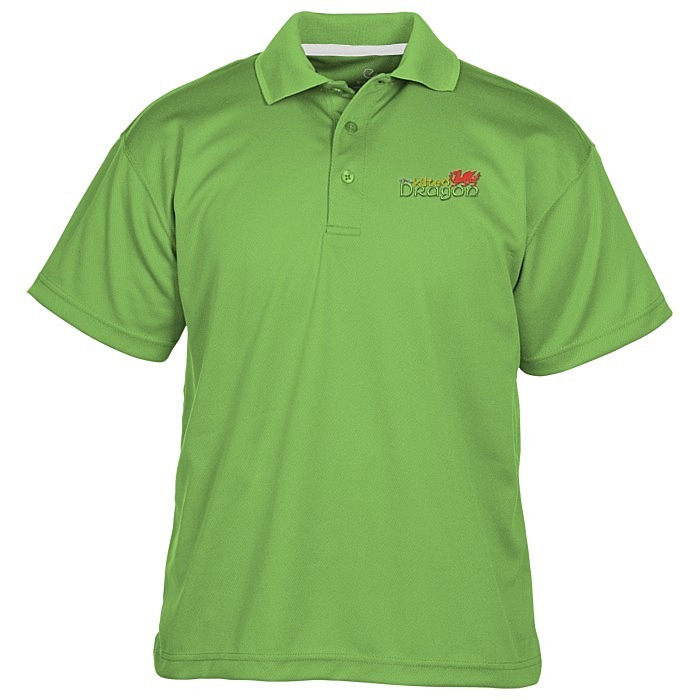 The dry-mesh fabric of this short-sleeve custom polo wicks away moisture for lasting freshness out in the field. At the same time, the antimicrobial shield inhibits odor for even more reassurance. Side vents and slightly extended tail work with the movements of your body. Crisp three-button placket provides a pleasant finishing touch. 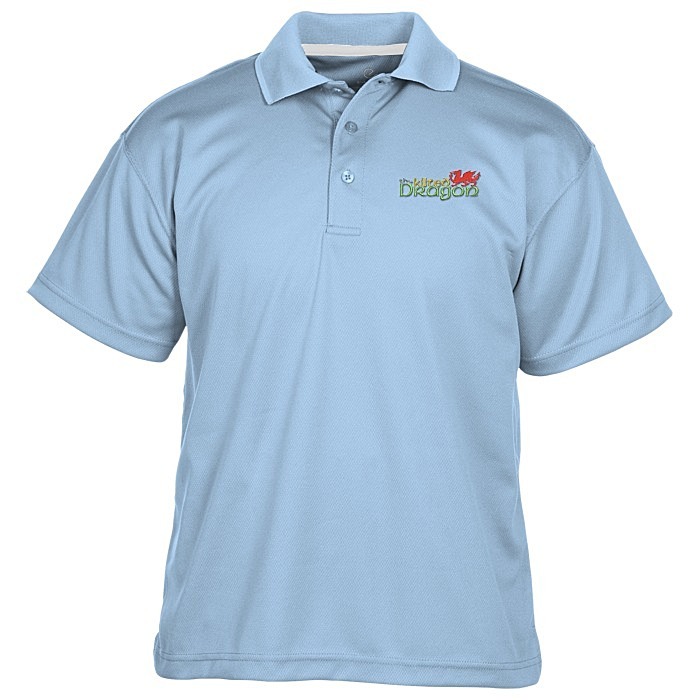 Made with easy-care 4-oz 100% polyester that offers snag-, fade-, shrink- and wrinkle-resistant protection. 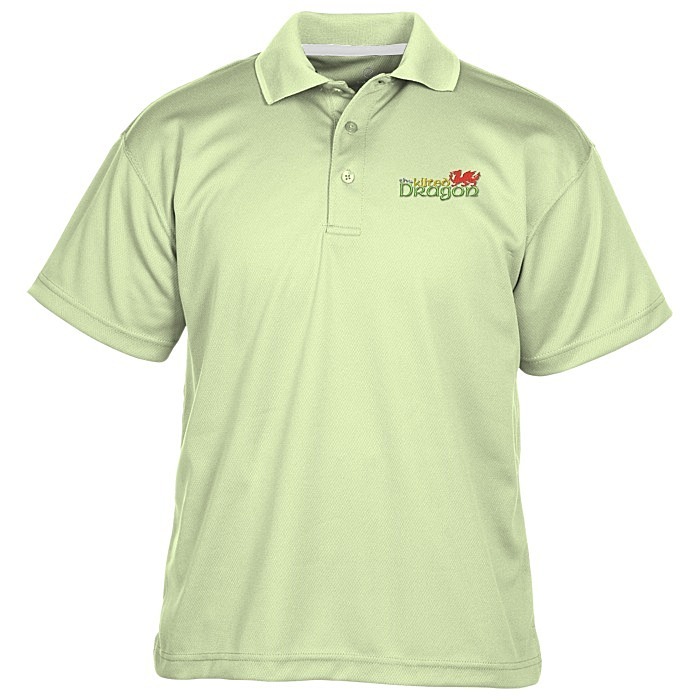 This hardworking personalized polo is perfect for special events, active employees, coaches and much more. For the coordinating ladies’ polo, see item #122078-L-24HRDry-Mesh Hi-Performance Polo - Ladies' - 24 hr.